Mindtree delivers digital transformation and technology services from ideation to execution, helping clients outperform their competition. Mindtree takes an agile, collaborative approach to creating customized solutions across the digital value chain. The company's expertise in infrastructure and applications management helps optimize client IT. Whether clients need to differentiate their company, reinvent business functions, or accelerate revenue growth, Mindtree can help. Atlas, Mindtree’s end-to-end, output-based managed services framework, replaces ticket-in, ticket-out managed application services with a focus on delivering optimized business value. Atlas takes charge of the lifecycle of your enterprise applications. Mindtree uses Atlas to design and deploy fully tested applications, scale capacity under extremely short deadlines, and eliminate integration risks. Atlas uses customized pricing models to ensure flexible, affordable solutions. Atlas transforms IT into a strategic profit center. This hyper-agile managed services model drives enterprise growth to take you from transition to optimization to transformation. MIndtree’s BlueLitE Bluetooth low energy 5 and 4.2 IP is a Software and Hardware co-design which has two components, the LP Controller (Link layer, PHY) and Bluetooth Stack & Profiles. BlueLitE IP is qualified by Bluetooth SIG and is Silicon Proven. BlueLitE 4.x IP is in mass production with multiple leading semiconductor companies. BlueLitE 5 is licensed to lead customers. They expect the first Bluetooth 5 IC based on their IP to be in production shortly. BlueLitE IP includes all the essential components needed for a complete single mode solution, excluding RF. For RF Mindtree has partnered with leading RF IP suppliers across the globe. 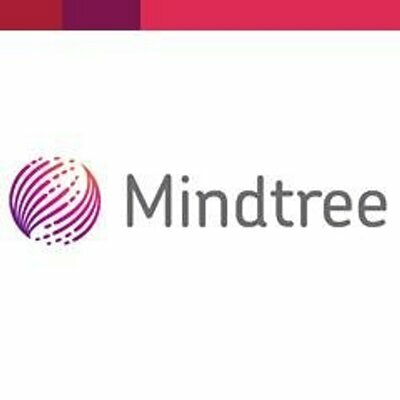 Mindtree Decision Moments is the first data analytics platform to apply continuous learning algorithms to large data pools. Using this innovative sense-and-respond system, companies can uncover compelling insights that improve over time and create more value from their digital transformation. Decision Moments is an agile and customizable data intelligence platform that simplifies technological complexity by easily adapting to fit the requirements of your organization’s existing data analytics investment. And it’s also flexible enough to modify in response to changes in the market, technologies or business needs. Mindtree’s EtherMind Bluetooth 5 and 4.2 is a Dual mode Bluetooth software IP consisting of stacks, profiles and application frameworks for BR/EDR and Bluetooth low energy. It includes all the mandatory as well as optional features of the Bluetooth stack and the latest Bluetooth profiles. This Bluetooth Software IP is easily portable across different OS and variety of processor platforms including 8 bit processors for Bluetooth low energy. Flooresense is Mindtree’s intelligent real-time recommendation platform. It guides the appropriate store associate to a shopper who is likely to become a customer if given the necessary assistance. Gladius Central Management Software helps to manage distributed enterprise surveillance installations that are diverse right from DVR, NVR to different VMSes. It offers a unified management interface that enables management of the overall security system, irrespective of the size or location. Gladius Cloud is Mindtree’s Enterprise Cloud-based Video Management and Analytics Platform. It provides cloud based recording and management of distributed sites without a need to change the existing cameras and DVRs. Its advanced video analytics capabilities generate real-time alerts for proactive monitoring and help reduce manpower requirements. Gladius Video Analytics Software is a collection of custom built video based analytics algorithms that helps enterprises analyze the video frames and detect human intervention and behavior. The unique algorithms help reduce complexity without sacrificing accuracy and are run at near real time performance. Gladius Video Management Software is an enterprise video management software that provides plug-n-play support for a wide range of industry-leading IP cameras and encoders. It uses High Performance Analytics to help organizations protect their assets and reduce pilferage. With its high reliability and scalability, Gladius addresses the current and future security challenges of organizations in many industries of different sizes with diverse surveillance needs. Gladius VMS is available as two variants ― Gladius Lite and Gladius Pro (Professional), to suit the requirement of the installation. Gladius Lite is a free/trial version with basic features, with a paid upgrade to Gladius Pro having advanced features. The Lite version supports up to 50 cameras and single server while the Pro version supports unlimited cameras with multiple servers. InspectMind is a SaaS platform, designed to meet the secure, scalable and integrated inspection needs of all kind of organizations – from regional, small & medium businesses to large global enterprises. It leverages the strengths of new age technologies like Mobility, Telematics, BPM and Cloud to elevate your inspection processes to new heights. Mindtree MindTest™ gives you the integrated test methodology you need to deliver high quality products in a shorter time frame. Based on best practices established through testing thousands of applications, MindTest aligns test strategies with business objectives. It also tracks and measures the gap between existing and expected quality, and translates business goals into measurable outcomes. Mindtree CAPE is a meta-platform with capabilities including Compose, Provision, Operate and Visualize that help enable integrated service delivery across the plan-to-operate lifecycle to effectively address the challenge of toolchain integration. MWatch™, Mindtree's integrated IT infrastructure management and service platform, gives you a consolidated end-to-end view of your infrastructure and applications. With its "big picture" integrated dashboard, you can monitor network infrastructure, servers, applications and other components to optimize IT performance and reduce costs. Mindtree’s PaxPulse is a cloud-based ‘Social Intelligence & Recommendation Platform’ for the travel industry that recommends specific actions based on passenger behavior analysis and integrates actions and service requests into organization’s existing CRM system. It automates passenger complaint resolution by working on actionable recommendations and processing them based on pre-set business rules. ShotClasses is Mindtree’s modern micro-learning platform that can help enterprises reach their distributed workforce and partners through an intuitive learner app. It is designed to increase adoption and usage with the workforce and enables the learning department to launch, track and evaluate learning programs in a few clicks.